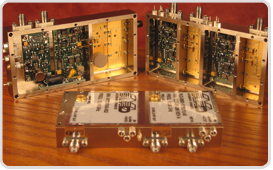 Microwave Dynamics (MD) is a world leader in high-precision microwave and millimeter wave components. 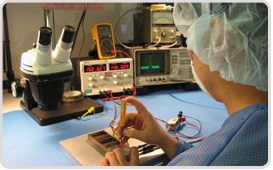 Incorporated in 1993, MD designs and manufactures free running and phase-locked oscillators, amplifiers, frequency converters, frequency multipliers and custom sub-assemblies / integrated microwave assemblies for the industrial, aerospace, and defense sectors. With applications on land, sea, air and space, MD products are designed to perform under extreme environmental conditions, such as intense shock vibration and high temperature variance. Designs are geared to maximize stability and minimize noise. 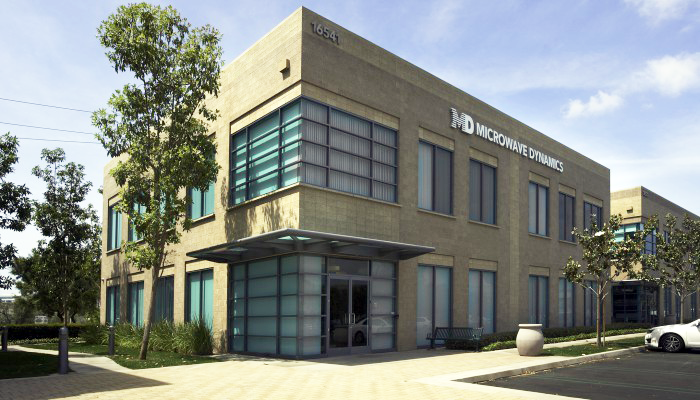 Microwave Dynamics is Small Business Certified, AS9100 Certified, and on the Approved Supplier List (ASL) of several major aerospace companies and system integration firms throughout the world. Our products are 100% U.S. made and subject to rigorous testing, quality control protocols, and documentation procedures. In addition to excellent customer service and rapid turnaround R&D for customized sub-assemblies , we also offer 48 hour delivery on standard catalog products, making Microwave Dynamics the preferred choice for time-critical projects. Reliability and precision are our primary concerns at Microwave Dynamics. Our Quality Management System (QMS) is ISO Certified and AS9100 certified. We first received AS9100:2009 Aerospace Standard Certification in March 2013 by DNV Auditors. We currently conform to ISO 9001:2015 and AS9100D (Technically Equivalent to EN 9100:2016 and JISQ 9100:2016), and have been audited in accordance with the requirements of AS9104/1:2012 for our manufacturing plant in Irvine, CA. AS9100D is the most recent Quality Management System (QMS) standard for the aviation, space, and defense industry. AS9100 is based on the ISO 9001 quality management system and supported by the International Aerospace Quality Group. Microwave Dynamics product meets the requirements for the RoHS Directive 2011/65/EU (RoHS 2) issued in 2011, for restricted materials and their respective limits. Please inquire at info@microwave-dynamics.com for full 2018 Product Catalog.